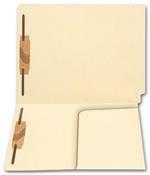 5Forms Business Checks & Forms > Overstock & Limited Quantity Deals > OVERSTOCK 7720 End Tab Diagonal Cut File Pocket Manila 11 pt 1" expansion 12 1/4 x 9 1/2"
OVERSTOCK 7720 End Tab Diagonal Cut File Pocket Manila 11 pt 1" expansion 12 1/4 x 9 1/2"
Size: 12 1/4 x 9 1/2"
1" expansion capability. Durable 11 pt manila stock. 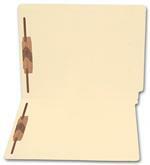 $40.00 OVERSTOCK 7720 End Tab Diagonal Cut File Pocket Manila 11 pt 1" expansion 12 1/4 x 9 1/2"